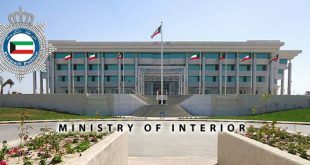 KUWAIT CITY, Nov 5: The Ministry of Interior is closely monitoring seminars of National Assembly election candidates and it will take legal action against those who will be proven to be instigating sectarian strife or threatening national unity, reports Al-Shahed daily quoting sources. Sources warned the ministry will take measures against anyone who will insult brotherly or neighboring countries and they will be referred to the Public Prosecution, claiming some candidates are taking advantage of sectarian issues in order to gain more support. Sources confirmed the ministry has laid down a security plan for the elections, disclosing eight mobile operation units have been prepared and all security forces are well-equipped while four helicopters will be used to monitor the electoral process. Sources added a traffic plan has been set to ensure smooth flow of traffic on roads leading to polling centers. Meanwhile, a candidate from the First Constituency has shocked his supporters by saying those who do not vote for him will go to hell, reports Al- Shahed daily. Reportedly, this candidate delivered the tirade during a meeting with his supporters and close electorate base. He said traitors who refuse to vote for him will go to hell. Meanwhile, a Third Constituency candidate Ali Al-Khamees affirmed his participation in the upcoming elections, denying rumors that he plans to withdraw in favor of one of the candidates, reports Al-Rai daily. In another development, Dr Hamad Al Tuwaijri, a candidate from Third Constituency, is of the opinion that Value Added Tax (VAT) is more dangerous than the gasoline price hike, indicating that it is the final nail in the coffin of the middle class. He warned about the effects of VAT on low income citizens, saying it is the most dangerous type of taxes and if it is applied, there will be a gap among the rich and the poor, while the middle class, which constitute the majority, will disappear. In another development, the relative of a parliamentary election candidate has allegedly brought an African magician to Kuwait on visit visa, reports Al-Shahed daily. Sources revealed the magician, who made charms to attract voters and influence their voting behavior, stayed in the campaign headquarters of the candidate. However, the charms did not work as the campaign headquarters remained empty with only the candidate, his sons and a number of relatives there, sources added.